The Labour Party has radically changed the demand side of its housing policy since the 2014 election, with supply-side policies remaining largely untouched. The most substantial change so far is the disappearance of the capital gains tax proposed in 2014. Pitched at 15% with a promise to exclude the ‘family home’, the tax was meant to slow speculative investment in real estate. Most other investments within New Zealand are subject to a capital gains tax, so the tax-free status of income made on the sale of residential property has made it a highly attractive investment. Labour’s 2014 proposal was geared towards removing this incentive distortion. The tax was wildly unpopular, providing the nail in the coffin of a doomed election campaign. In the leadup to the 2017 general election, Labour has cast the politically disastrous capital gains tax aside. Instead, the party has responded to growing concern over speculation by promising to ban non-residents from buying existing New Zealand houses. An equivalent policy exists in Australia, and calls for a ban are becoming louder in countries like the United Kingdom, where foreign speculation is contributing to an all-too-familiar housing bubble. This has not come out of the blue; in 2014, Labour promised to restrict the ability of non-residents to purchase New Zealand houses, farm land and monopoly services. This ban, along with its promise to reduce net immigration by up to 30,000 a year, places Labour squarely within the global shift towards protectionism from both the left and the right. It also points towards the party’s hopes of forming a coalition government with New Zealand First. In the first three months of 2017, only 3% of property transfers in New Zealand had at least one buyer providing an overseas tax residency. It is worthwhile to note that 40% of property transfers do not require purchasers to provide their tax residency, so the real impact of foreign buyers may be significantly higher. Nevertheless, it could be argued that restricting immigration and banning overseas buyers from purchasing existing houses is disproportionate to foreign buyers’ actual contribution to the demand for New Zealand residential property. The move from a capital gains tax to a ban on foreign purchase of housing shifts part of the burden of dampening demand-side pressure. 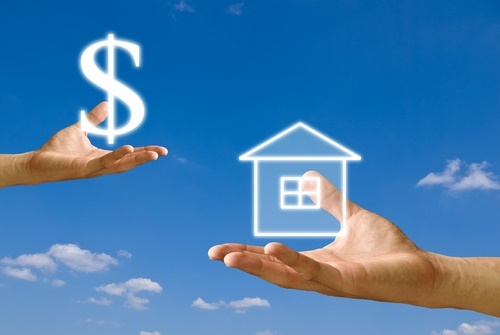 Though a capital gains tax would equally affect domestic and foreign investors, the blanket ban on non-residents purchasing New Zealand housing stock leaves kiwi investors partially off the hook for speculation. To remedy this, Labour has also promised to close the negative gearing loophole which allows investors to claim losses on investment properties as a tax deduction. This would mostly affect investors with multiple investment properties, and the promise to insulate 600,000 households with the revenue it would bring is sure to prove politically popular. These demand-side policies stand alongside Kiwibuild, Labour’s supply-side solution to what it calls New Zealand’s housing crisis. The crown jewel of Labour’s housing policy, a promise to build 100,000 affordable homes over the course of 10 years, it has been retained, name and all, from its 2014 campaign. As a $2 billion boost to the economy, Kiwibuild has also been marketed as a job creator. Part of the policy stipulates that if Kiwibuild houses are sold on within five years, the capital gain from the sale must be returned to the government. This is functionally a 100% capital gains tax on Kiwibuild homes sold within the five-year limit, meant to prevent investors capitalising on cheap housing meant for first home buyers. However, if first-home buyers are willing and able to move up a rung on the property ladder, they now have a very strong incentive to wait until the end of the five-year term before returning the Kiwibuild home to the market. This has the potential to limit the effect of Kiwibuild in providing accessible housing to a meaningful number of first home buyers. Aside from dropping its capital gains tax, Labour has largely retained the housing policy on which it ran in the 2014 election. The Healthy Homes Guarantee of 2014 has resurfaced as Andrew Little’s Healthy Homes Guarantee Bill – which aims to amend the Residential Tenancies Act to ensure that rental homes meet minimum heating and insulation standards. There is a substantial change in the government side of a policy package which prioritises supply over demand. Moving from a proposed National Policy Statement in 2014, Labour’s 2017 campaign comes with an Affordable Housing Authority promising to cut through the red tape many see as obstructing fast development. So far, Labour has put its housing policy front and centre of its election campaigning, banking on the dissatisfaction of an electorate facing what can really only be described as a housing crisis. Whether or not this is the solution the electorate chooses, the party has ultimately responded to what it heard in 2014: a wholesale rejection of the capital gains tax, anxiety over foreign speculation, and an urgent need for cheap housing, government or otherwise. Speculation Ban foreign speculators from buying existing NZ homes. Close negative gearing tax loopholes for speculators. Restricting the ability of non-residents to purchase New Zealand houses, farm land, and monopoly services. Extend the bright line test to five years. The bright line test, currently at two years, is used by the government to determine whether a property is classed as a capital investment. Currently, capital gains from a property sold within two years of its purchase are taxed as income. Labour would extend this to five years. Capital Gains Tax of 15% on real estate, exempting the 'family home'. Building workforce Dole for apprenticeships and free secondary education policies expected to contribute to growth in skilled building workforce. Kiwibuild expected to create 5,000 new jobs. Create new jobs, 2,000 apprenticeships and give $2 Billion boost to economy as a predicted consequence of Kiwibuild. Governance Affordable Housing Authority to work with the private sector to cut through red tape and get new homes built fast. National Policy Statement to ensure Councils are more likely to approve projects involving affordable housing. Invest the money from ending the tax loophole for speculators in grants to help 600,000 families insulate their homes or instal a clean, fixed form of heating. Andrew Little's Healthy Homes Guarantee Bill (currently before Parliament) amends the Residential Tenancies Act 1986 to ensure that rental homes meet minimum standards of heating and insulation. Introduce a Healthy Homes Guarantee so that every rental home in New Zealand is a healthy home that meets minimum standards of insulation and efficient heating. What’s needed - whatever the political party - is a clear policy statement, such as ‘adequate access to adequate housing for all New Zealanders’. Party officials can define the meanings (in each case) of ‘adequate’, and set out reasonable short-, medium-, and long-term schedules for the policy delivery. Once a government is formed, civil servants can take over the next stage of work, identifying the constraints to achievement of the policy – such as the materials supply cartels, restrictive Council planning frameworks, new immigrant numbers, whatever else comes up. Then use the government’s legislative power to deal with the identified constraints. And get private enterprise, government agencies, charitable and community providers working together within their areas of competence to meet the expressed policy. The process is no different from ‘making New Zealand predator free by 2050’. What’s required is a simple, overarching policy objective. Without this, there are no kpi’s, no reasoned planning steps, no measurements against a known goal. Just more undirected, tactical fiddling at the edges of a mounting national social crisis. In Auckland at least, wrong! Several developers I work with have told me they are getting consistently outbid (by a large margin) on good development sites by Chinese (offshore) investors. They either have no intention to develop (land bankers), or might consider development - but often find they can't get it to stack up (paid too much). So then they sit on the land, or sell it (often to a Chinese land banker). So, increasingly, we are often seeing good development sites with heaps of potential under the Unitary Plan, just sitting undeveloped. The other reason that the impact of Chinese investment is disproportionate to it's numeric significance is that the transactions often play a part in setting market expectations in an area. This flows to some extent from the larger development sites to smaller single residential sites. I think very few people are aware how much of a problem all of this is. Unless there is a major land price crash, Auckland is going to get further and further behind on its housing. The pipeline for building is definitely slowing. The govt's belief in the market is in tatters. Close, but the price flow is from the large area of residential sites to much smaller areas of development ready sites. The Auckland Council has cut off land supply to Auckland City, since they prefer to develop vast sprawls around peripheral towns. This means that every home owner in Auckland has to pay way more for their land than is reasonable, because a council created short supply of land and forcing up prices. Which has made land banking awesome with a council guaranteed profit on everything. Our developers cannot ever afford to develop in Auckland. The only possible solutions are for Auckland Council to open up land around Auckland or a big change in immigration numbers. Option A - Cutting Auckland migration from a positive 40,000 per year inflow to a negative 10,000 outflow will work. The great thing about this is it does not require Auckland Council to be helpful in any way. Option B - Opening up 30% of the land around Auckland to development will work. Perhaps someday the council might contemplate this in place of their current policy of expanding exurban towns by 200-400%. At the moment it seems that Option A is the most likely outcome. I totally agree - it makes no sense to aggregate foreign purchasing across the entire New Zealand market when it's concentrated in certain suburbs of Auckland. Unless of course you're trying to disguise what's actually going on. Why would you allow non citizens to buy New Zealand land at all ? Because they have money and lots of it. That's interesting Fritz - because there's a whole bunch of contributors here who maintain that the Chinese have now virtually stopped investing in NZ. But I'm sure you're correct. I have concrete example of this next door to me in Sandringham, post unitary plan two side by side properties in the terraced houses and apartment zone sold for 1.9 Million each (one went up almost a million in 3 years), can't see how after 'investing' nearly 4 million in the land the owner is going to malle money building on it, hence they will sit on it. Firstly a bit of clarification. In fact housing does not have a unique position as an investment. If you buy shares and then sell them you aren't taxed on the capital gains/losses unless you 'trade' in them. The Productivity Commission looked explicitly at that issue and concluded that the rules were the same for all asset classes. There is a difference in that banks will lend on house but not shares, and that the current expectation of house prices increases has made it attractive - as sometimes happens with shares. The rules may not be different, but they should be. At the moment you can buy a residential property with a big mortgage, claim your interest payments ('losses') against your personal income, and sell the property for a massive gain. You can make hundreds of thousands of dollars in capital gain, not pay a cent in tax, and in fact get a tax rebate off personal income. I don't care about the fact that it is the same rules as other investments, I just care about the fact it is totally wrong!! Well sort of. It is totally dependent on the price of houses going up faster than the cost of the borrowing. Unquestionably that has happened in Auckland, but until recently not in other parts of the country. And the fundamental issue is how do you stop it - a 15% capital gains tax on the difference between what you bought and what you sold at would be trivial (equivalent to selling a month early). What we need to do is change the fundamental reason that prices went up. That is largely a supply issue - there is no reason for Auckland prices to have gone up at the rate they did - and then people wouldnt speculate. I think the best way to fix land bankers is to have land prices decline. In fact housing does have a unique position as an investment. Banks lend to housing speculators with reckless abandon, but they are very reluctant to lend to actual productive businesses. It is the high ability to borrow to reckless levels that enables negative gearing by speculators. So practically speaking, housing investment is in a unique position even though that may not be obvious when looking at tax rules. Yeah, which is why when we have low interest rates house prices have soar in places from Seattle to Sydney and from Toronto to Melbourne. The unique problem for Auckland isn't that house prices have gone up, but unlike any of those other places we haven't built many new houses. Prices were always going to go up, because borrowing is low cost. We have high prices for sure and we can adopt heaps of measures to attack this. But we haven't built anything, so we can't attack demand as much as other places - because that will mean we build even less. Our problem is that land cost has gone up faster than house prices, which has screwed up our supply. Which is why I can't get my head around why we drop interest rates to 'stimulate' growth...growth of what? Property speculation? If we head down that path (again) then interest drops need to be linked to DTI's. Economists call it stimulus when it is just relentless money printing. Use of the term is only a matter of public relations. Central Banks don't stimulate growth, the economy is where the growth is. A short term drop in interest rates will provide an initial boost by providing liquidity (money) to allow latent demand to be filled. After that short burst it has no further effect other than increasing asset prices. Stimulus accentuates the latent demand. People always have a latent demand for houses, just to have one or to have a better one. So house prices go up and the economy builds more, better houses. The economy generates wealth by fulfilling the demand. Unfortunately I live in Auckland and the pattern has been screwed up by Auckland Council. Auckland Council have cut land supply to Auckland (where there is high demand for better housing) and spent $billions on developing Warkworth/Wellsford/Pukekohe/Kumeu (where there isn't high demand for better housing). So the price of land in Auckland has appreciated faster than the appreciation in house prices and screwed us - our only outcome is speculation. May be Labour is talking about demand side of the problem as the current national government is turning a blind eye for whatever their reason might be. Not sure if removing negative gearing is meant to be directed at foreign speculation. protectionism vs neoliberalism. I loved this article, and I agree with Labours policies 100%. I dont work at the steel mill or freezing works, I'm a scientist with a PhD. I'm of the generation who lived in Auckand and went to the auctions trying to buy a house but was outbid by the telephone bidder every time. I saw the young woman crying when she lost, and the final price was surprising even to the agents! Let's see what happens in this election. Labour will remove the Auckland urban growth boundary and free up density controls. This will give Auckland more options to grow, as well as stopping landbankers profiteering and holding up development. New developments, both in Auckland and the rest of New Zealand, will be funded through innovative infrastructure bonds." I would suggest anyone -including the authors of this article -if they want to know what Labour's housing policy is about that they should go to the public meetings that Phil Twyford is giving where he is quite happy to talk about the issue in depth. Here is video from a recent meeting. Wow, what an inspiring talk by our future housing minister ( God Forbid !!) ... He started with something like "NZ failed to solve the housing issue for the last decades ..etc"
conveniently forgetting that Labour governed in almost half of that period and their policies were as bad as everyone else ... it is all about "taking care of " remedies and very little meaningful, practical, well thought of plans which can hold any water ... very easy to describe hardship when you pretend you had nothing to do with it ..!! His opening about people sleeping in cars ( with graphic examples) is just petty deplorable emotional exploitation used mostly by charities collecting donations and banking on peoples sympathy. Maybe he could explain why his leader is floundering on their immigration policies how that is going to jeopardise his housing plans !! It is really hard when someone runs out of ideas and stock - ends up having nothing to sell - Sad!! I thought Phil Twyford was honest when he said successive governments had not tackled the housing problem and I am genuinely impressed by the breadth of Labour's housing policy. It certainly is a step change from the Clark/Cullen administration and I think there is evidence that Labour has worked hard in the last 3 years to update its housing package -in both the supply and demand factors. Labour has been running Auckland Council for the past 8 years, the Mayor's Len Brown and Phil Goff both members of Labour. Labour has consistently blocked reform attempts of the type outlined by Phil Twyford. A nastier party might be difficult to find.